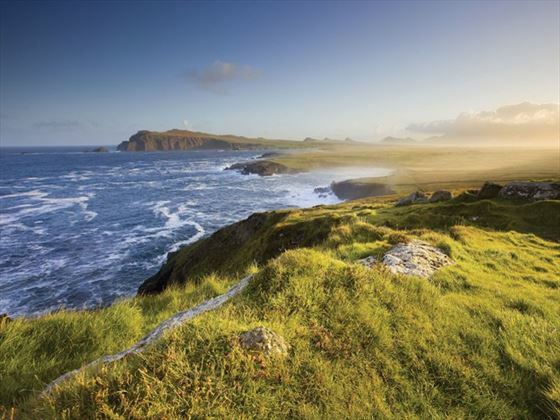 This 11-day escorted tour, gives you the opportunity to enjoy hotels which capture the spirit of Ireland, savour the local cuisine and take the time to explore on your own. Your tour begins this evening in Dublin when you will enjoy a welcome dinner at one of Ireland’s oldest pubs the Brazen Head with your fellow travellers. In the morning you will be able to orientate yourself in Dublin with a city tour, seeing the sights such as Phoenix Park, St Patricks Cathedral , O’Connell Street & Grafton Street. You have the afternoon at leisure to explore this charming city, and either imerse yourself in its history or soak up its infamous hospitality. 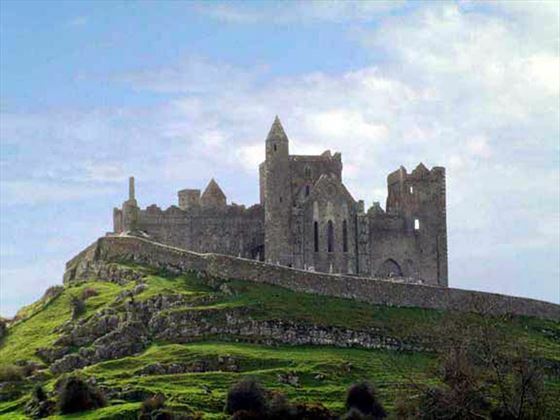 Leave the bright lights of Dublin for the country roads of Ireland, travelling south to the ancient Rock of Cashel and onto the home of Jameson’s Irish Whiskey – Old Mildeton Distillery. 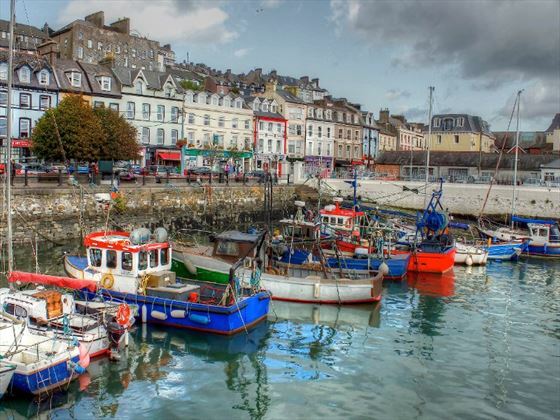 Continue to the quaint coastal village of Kinsale, considered to be the gourmet capital of Ireland. You’ll spend two nights here and this evening you have dinner included but can choose from a selection of Kinsale’s renowned restaurants. The day gets off to a lively start with a visit to the bustling city of Cork. From here you will take a local train journey to the small coastal town of Cobh. Here you will visit the Cobh Heritage Centre and will discover the personal tales of the many Irish immigrants who left their native land. 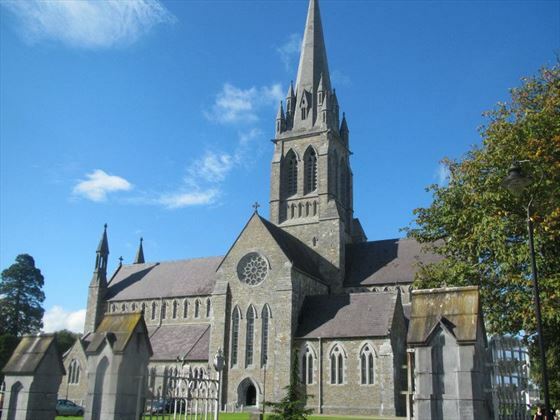 Return to Kinsale where you will join a local guide for a walking tour of this historic village. The rest of the day is yours to enjoy browsing the quaint shops and sampling the local fare. 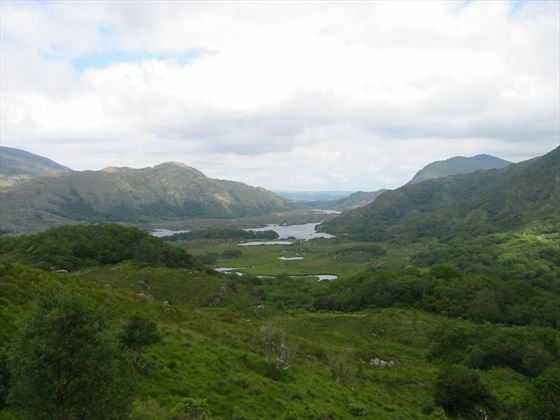 Today you will need your camera at the ready as you drive across Moll’s gap into Killarney National Park, and take in Ladies View and the sight of the Lakes of Killarney. 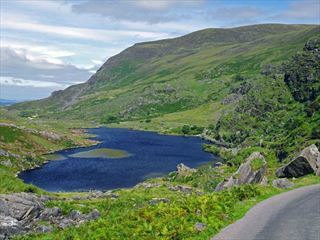 You will continue onto the Ring of Kerry, where the views become ever more spectacular. Return to Killarney for a relaxed evening at your own pace. 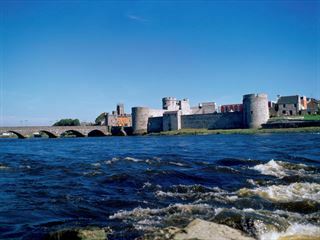 Leave the spectacular southern coast behind you and travel to Adare in County Limerick known as Irelands prettiest village. 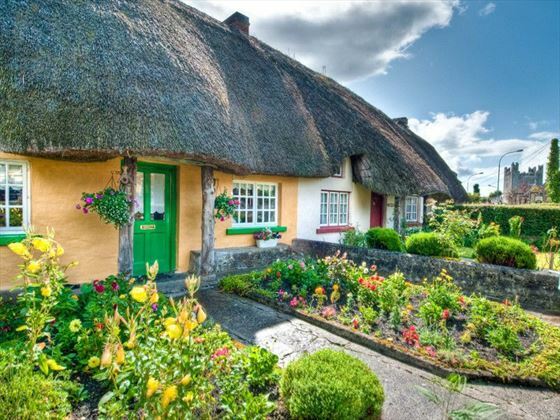 Take the short drive to Bunratty Castle & Folk Park where you will step back in time. 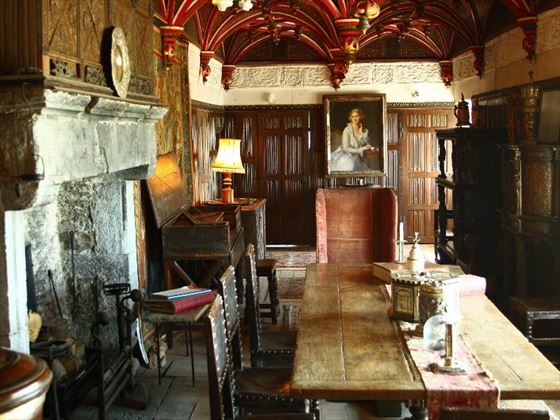 The castle was built in 1425 but restored last century and now contains wonderful furniture, tapestries and works of art dating back through the centuries. The Folk Park is an open-air museum with original cottages, dwellings and shops from yesteryear. Overnight you will stay in an authentic guest house and enjoy a traditional home cooked dinner. 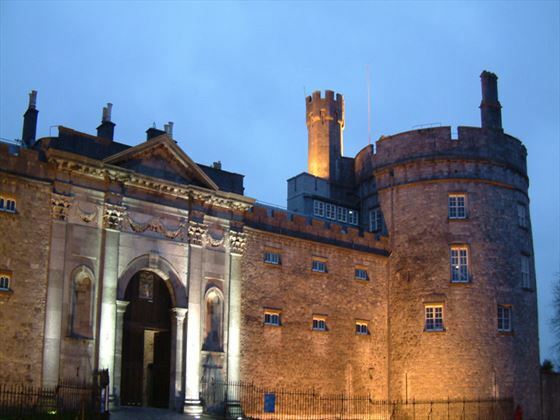 Head north to the tiny medieval city of Kilkenny, where you will have a tour of the beautifully restored Kilkenny Castle with its elegant halls and galleries. 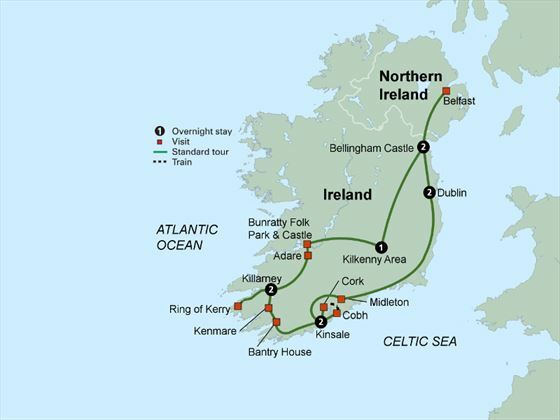 Afterwards travel to Castlebellingham where you will end your tour on a high note with a two-night stay at the historic 17th century castle. Drive north for your final iconic visit to the Titanic museum in Belfast. Before you even enter you will be amazed at the striking archicture, and inside you will be enthralled with this interactive and insightful telling of the Titanic story. 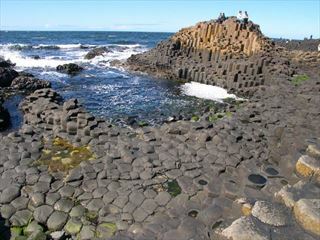 You will also enjoy a city tour with a local guide who will bring alive the history of this interesting city. This evening you will enjoy a memorable farewell dinner at the magnificent Bellingham Castle. With offices in Florida, Dublin, Kerry and London we have the experience and resources to provide you with the very best vacation, partnering only with the most reputable coach operators to ensure you have a truly great touring experience.